This isn't the end of the story either: for that we need Donald Rumsfeld's known unknowns. Our reserves are our known knowns. We know how much, where, what techniques to use, it's profitable, we're ready to grill the pork. Our known unknowns are those resources. We know roughly what's there, roughly how much, we've just not quite got to the slicing stage yet. But there's two more beyond them as well. Our unknown knowns: we know, very roughly speaking, that there's a strip through Africa over into Madagascar that is quite similar in basic geology to the Ore Mountains on the Czech/German border. Those Ore Mountains are one of the most geologically explored areas of the planet. But people are still finding new deposits even here (Europe's largest tin deposit is just moving from resource to reserve in the next couple of years, for example). And we really haven't had the requisite number of people crawling over Africa with little hammers to know exactly what is in those similar hills. We do know absolutely that there's loads of tantalum, niobium, tungsten, and all sorts of stuff there. However, we don't know quite where: thus it's not even a resource, it's a known unknown. This is still true of much of the world by the way. Very little of it has been exhaustively explored. This is the part that people usually think of as discovering new deposits. And it is: although much the larger part of the addition to reserves comes from moving resources into reserves rather than discovering new resources. Finally, we have our unknown unknowns. The best way to approach this is from the other side. We're pretty sure we know the approximate composition of the lithosphere. Potassium (or is it phosphorus?) is 0.1 per cent or so of it, phosphorus (or potassium? Always get confused here) is 2.5 per cent of it. Given that the lithosphere is some hundreds of billion of tonnes in weight we're really most unlikely to run out of either element before the heat death of the universe. But, and I'm afraid to have to say this, it does actually get worse than this. Hafnium – which is increasingly important in computer chips – could be gone by 2017. Err, no, this is gargling insanity. Back in 2007, when that estimate was made, the author also suggested that we'd run out of terbium (for CFLs) last year. And no, we didn't. The mag also warned us that gallium and indium were about to run out, too. Its mistake is, as above, to not understand what a reserve is. Estimating the extractable reserves of many metals is also difficult. 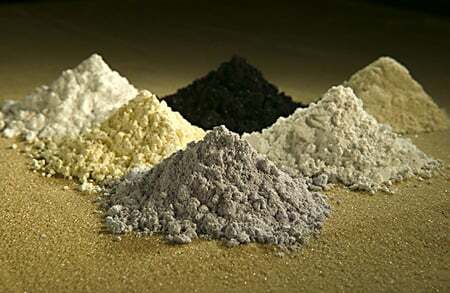 For rare metals such as indium and gallium, are these figures kept a closely guarded secret by mining companies. No, no they're not. It's far more accurate to say that there are no reserves of these metals. Take the metal gallium, which along with indium is used to make indium gallium arsenide. This is the semiconducting material at the heart of a new generation of solar cells that promise to be up to twice as efficient as conventional designs. Reserves of both metals are disputed, but in a recent report René Kleijn, a chemist at Leiden University, The Netherlands, concluded that current reserves "would not allow a substantial contribution of these cells" to the future supply of solar electricity. He estimated that gallium and indium will probably contribute to less than one per cent of all future solar cells — a limitation imposed purely by a lack of raw material. This is piffle. Gargantuan ignorance.